Three nights away from Krungthep was just what we (and our guests!) needed. We stayed at the Andaman Opera Suite located on Mai Khao Beach on the far north end of Phuket island. A year ago October we stayed at this three-unit condo which we knew as the Black Pearl. It turns out that each of the units, which are owned by a trio of couples, has a different name. 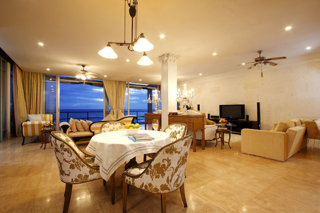 The Black Pearl is one of the downstairs units and the Andaman Opera Suite is the the upstairs unit. Since the Black Pearl was unavailable, its owners suggested we call the agent that handles the Andaman Opera Suite. It turned out to be a great move and was plenty of room for five adults, although the master bedroom suite (in which the three guests stayed) has only a sheer curtain between the bedroom and the shower portion of the bathroom, so this required a little coordination. Here are photos from the website. I figured they are so much nicer than anything I could shoot, so why duplicate efforts? The kitchen turned out to be rather well-stocked, enough to prepare a couple of meals at home. 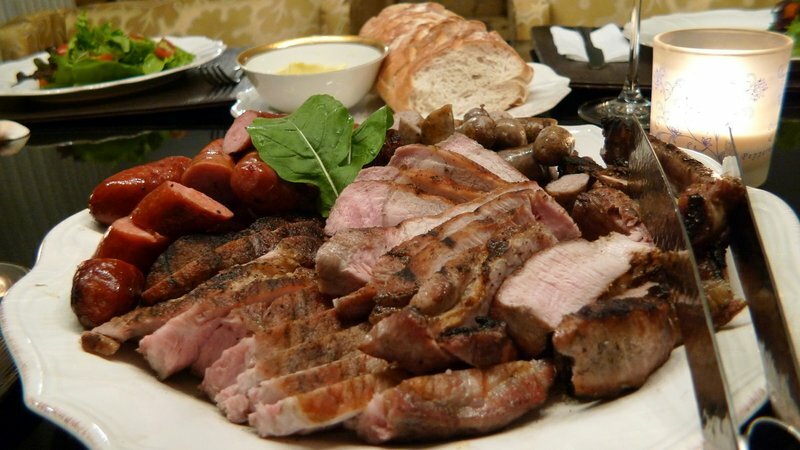 Mixed grill – dry brined pork chops and a variety of German sausages. 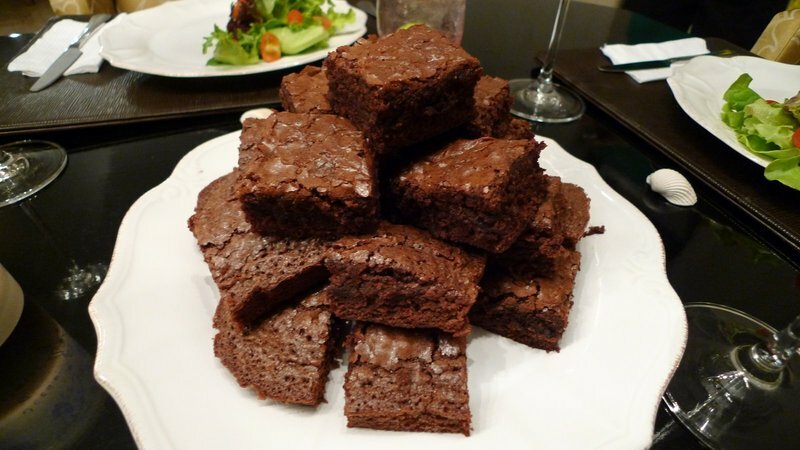 Brownies! I cheated and used a mix. Seemed silly to buy cocoa powder just for one batch. For our third evening, we stopped at the local market and picked up some fresh seafood, herbs, and vegetables to make a nice dinner. 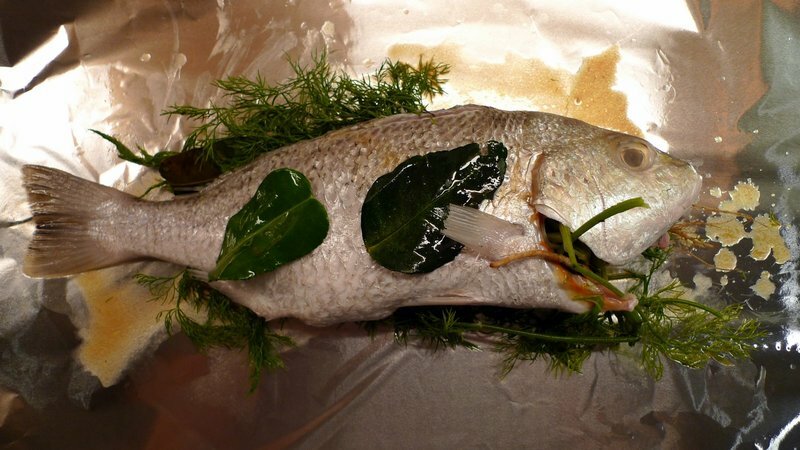 Before and after: a snapper-like fish stuffed with lemongrass, dill, and galangal root, with kaffir lime leaves and a butter-soy-lime sauce. Wrapped in foil and baked 25 minutes. Chicken biryani from one of the vendors at the market. Tasty! Tawn’s own contribution: tom yum goong soup, a spicy chili-tamarand shrimp soup with coconut milk and herbs. Tawn held back on the chili to spare the guests. Before we chow down for dinner on our final night: me, Tawn, Jack, Craig, and Matt. This entry was posted in Uncategorized and tagged Andaman, Andaman Opera Suite, Beach, Black Pearl, condo, Mai Khao Beach, Phuket, Thailand by christao408. Bookmark the permalink. oh my gosh, the food itself enough to make me jealous. what a great setting for a dinner party. What a wonderful and such beautiful meals! Oh… I remember your Black Pearl entry. 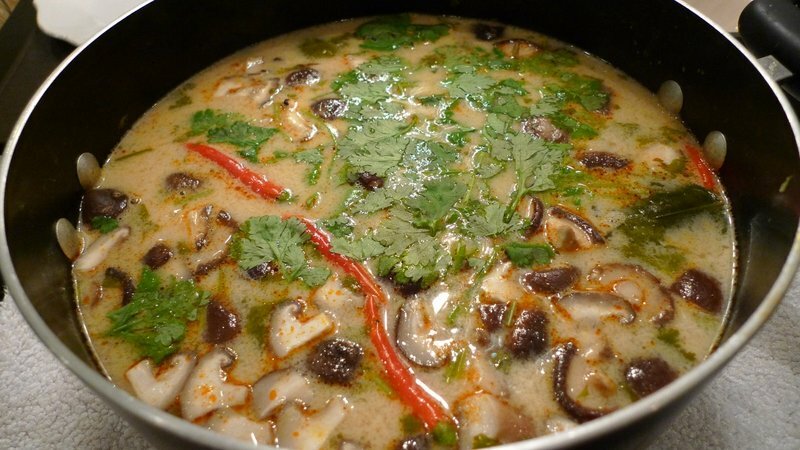 I love the food and tom yum goong soup is one of my favorite soups. Wowzers, how much does it cost to stay there? I want Tawn’s tom yum goong!!! It all looks good. Have to say my mouth is watering. The fish looks so good and Tawn’s soup is just screaming for a little rice on the side and a nice bowl… Even if it was still spicy enough to make me sweat! @Roadlesstaken – We ended up paying only 11,500 baht a night ($383) for five people, maid service, and a private pool. Very reasonable. @murisopsis – @yang1815 – @ElusiveWords – It is a surprisingly easy soup to make. All you need is the right ingredients. Admittedly, that can be easier said than done if you aren’t in a tropical country! @Passionflwr86 – What a moniker! @ItsWhatEyeKnow – Thank you. 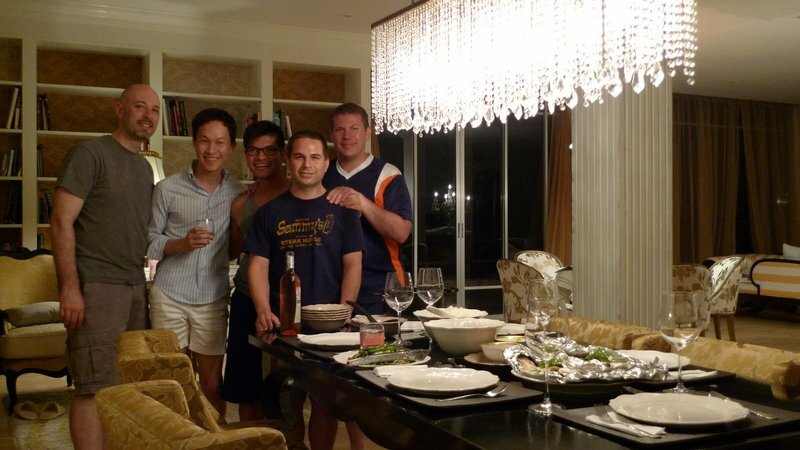 @rudyhou – I would definitely recommend it if you’re traveling to Phuket with a group. @christao408 – A lot of things are easy to make with the right ingredients. If you can find them! @christao408 – BTW the price is very reasonable. Stocked fridge too?!?! What a great deal for five guests sharing this huge space, plus the private pool! I think you’ve got the best deal in Phuket! I remember it cost about the same per night for a standard size guest room in a nice hotel, with no private pool of course.And the food is simply delicious! Just gorgeous!! And then I got to the food photos. Wow! I still don’t get how you, Tawn, and your buddies maintain such good physiques. 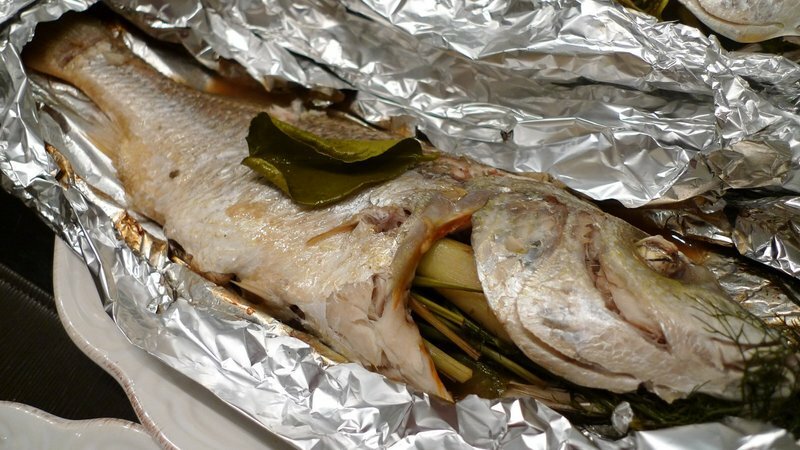 how was that lemon grass stuffed fish? i’ve got some lemongrass in the fridge right now! 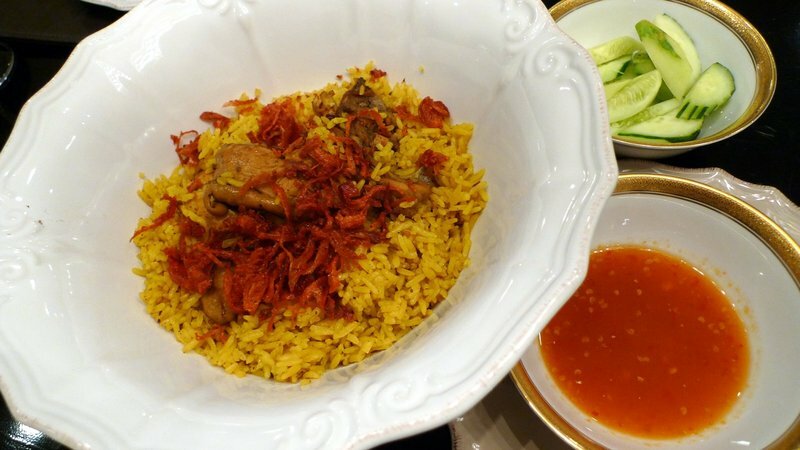 Chicken biryani is one of my favorites. We buy from a local market too. I am sure not as exotic. 🙂 All of it looks so good. 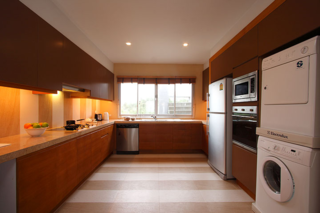 @yang1815 – Came with a wide range of breakfast makings, mixers, so a good start. Still had to go to the store for some things. @M_1 – The lemongrass adds a nice flavor, especially when combined with some ginger or galangal root and kafir lime leaves. Make sure you crush the lemongrass with the flat side of a knife so the oils are released during cooking. @moolgishin – That’s an interesting pie recipe. Thanks for thinking of me. @bengozen – Thai food is pretty good, isn’t it? @Ikwa – Local vendors (and Dr. Zakiah!) do a much better job with biryani than I can! =D@lil_squirrel4ever – Photoshop. Ha ha…@CurryPuffy – I agree that the price is very reasonable. What a beautiful place! Nice place to relax and chill. that looks like a really nice place to stay, and of course, the food looks amazing! i’m especially intrigued about the fish… i love fish. 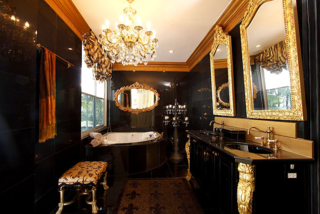 @Redlegsix – Actually, the master suite would normally house just a couple, I think. Because we had an odd number of people, it made sense to rearrange beds and put three people in the master suite and just Tawn and me in the second, smaller bedroom. It required a little coordination for shower time, but wasn’t that big of a problem. @kunhuo42 – “Intrigued” is an interesting word, Aaron. =D@TheCheshireGrins – It was really tasty. @stebow – Had we known about this place back when you visited, a few days there would have been a must. Just this evening my nephew was talking about this same place he and his wife had gone to. the food looks amazing Chris.